← Why choose Oakley Sunglasses part 2! 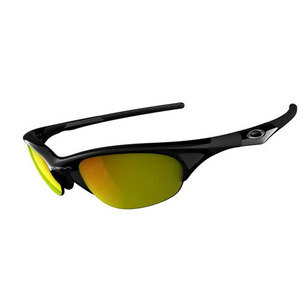 One pair of Oakley Sunglasses that maintains its popularity is the Oakley Half Jacket designed for the sportier person they are a step above most sport Sunglasses. A favourite for many famous people including Ian Poulter, Jake Gyllenhall and even would you guess it Britney spears and Miley Cyrus! 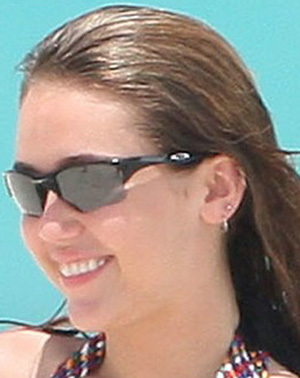 Miley Cyrus in Oakley Half Jackets! The Oakley Half Jackets are available in two styles the Oakley Half Jacket sunglasses and the Oakley Half Jacket XLJ sunglasses. The Oakley Half Jacket XLJ sunglasses are designed for larger faces or for those who want to cover slightly more of their face. The main features of the Half Jackets apart from looking very cool are they feature open lenses which give the wearer an unblocked downward view which makes them ideal for sports such as golf, cycling and running. Perhaps one of the most amazing things about the Oakley Half Jacket is that the lenses are interchangeable, meaning that you change them according to your lighting condition and environment giving you the edge above your competitors!! Also for all the ladies out there you can accessorize your lenses with your outfit!! 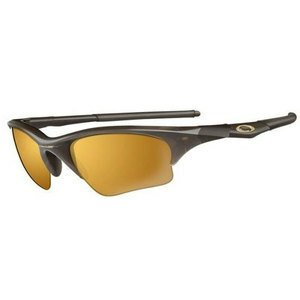 The most popular colours of Oakley Half Jacket have to be the Jet Black with Fire Iridium and in the XLJ version the Rootbeer with Gold Iridum. Therefore when you are trying to decide on your next pair of Shades keep the Oakley Half Jacket in mind as they will make you look great and be an investment as you will never need new Sunglasses just new lenses! I must say, youve got one of the finest blogs Ive observed in a lengthy time. What I wouldnt give to be able to develop a blog thats as interesting as this. I guess Ill just have to maintain reading yours and hope that 1 day I can write on a subject with as much understanding as youve got on this one!